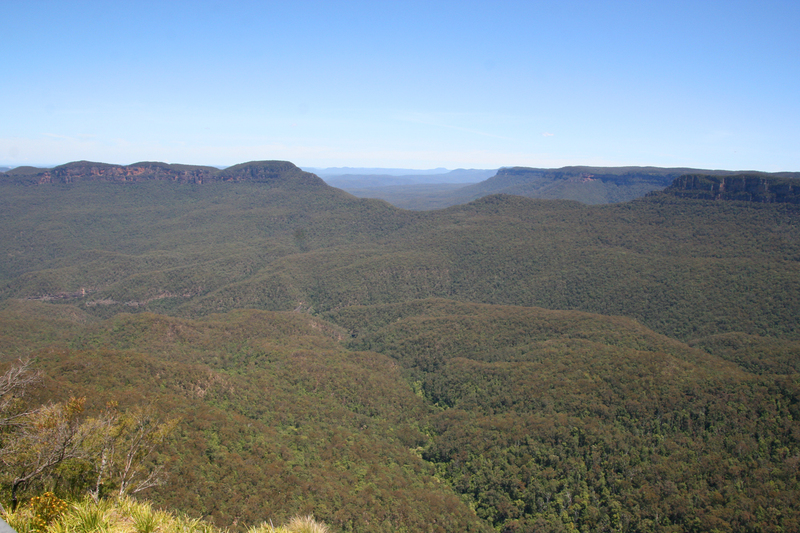 The Blue Mountains are situated to the west of Sydney. It is known for it's spectacular scenery with steep cliffs, waterfalls and eucalypt forests. 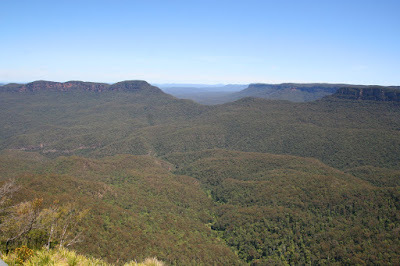 These oil bearing Eucalyptus trees are the reason the mountain range is called the Blue Mountains. 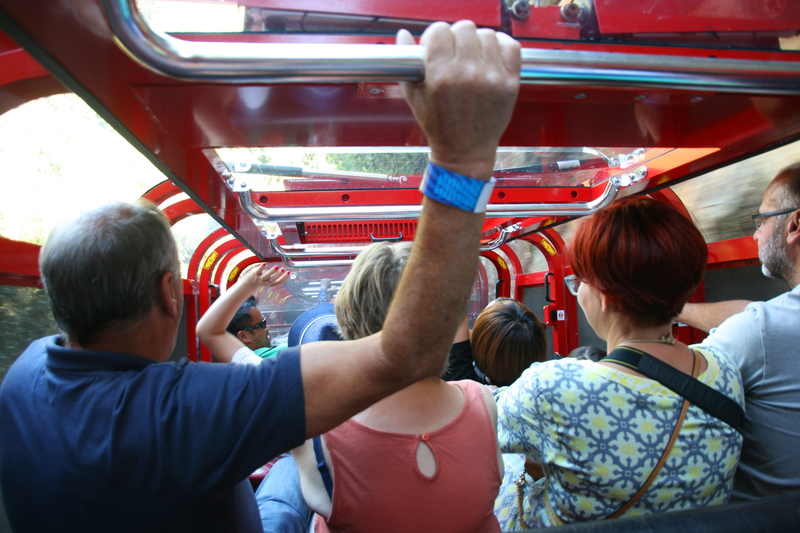 The atmosphere is densely populated with finely dispersed droplets of oil. In combination with dust particles and water vapour, scatter short wave rays of light which are predominantly blue in colour. 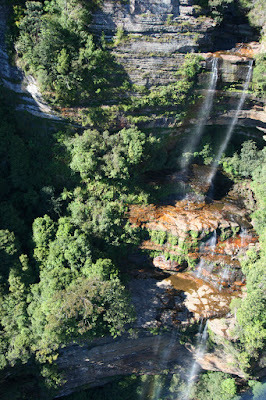 I have wanted to visit this area for many years and made this trip my opportunity. 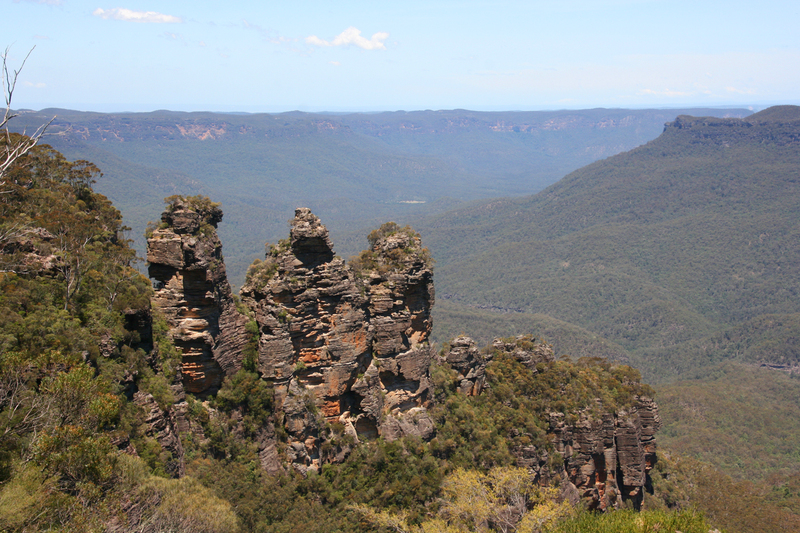 Our first stop was to Echo Point to checkout the Visitor Information Centre and the famous rock formation of the "Three Sisters". Next it was off to Scenic World with it's Scenic Railway, Scenic Skyway, Scenic Cableway and Scenic Walkway. 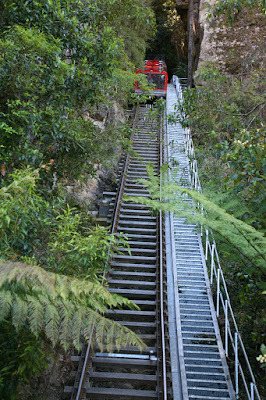 First up was the Scenic Railway which at a 52o incline, the steepest train in the world. It was originally part of a network of tramlines built to bring coal and kerosene shale from mines up to the main railway. 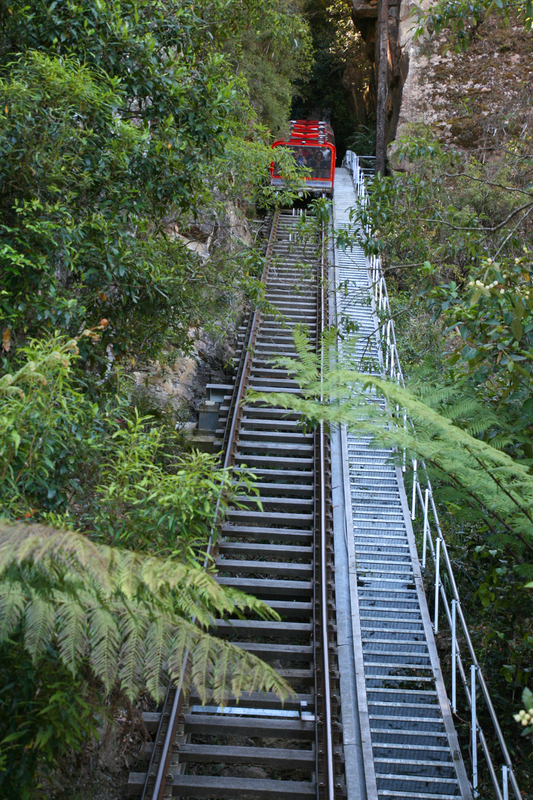 Once off the railway we walked through the amazing forest past the Ventilation Furnace and Coal mine entrance to the Scenic Cableway bottom station. 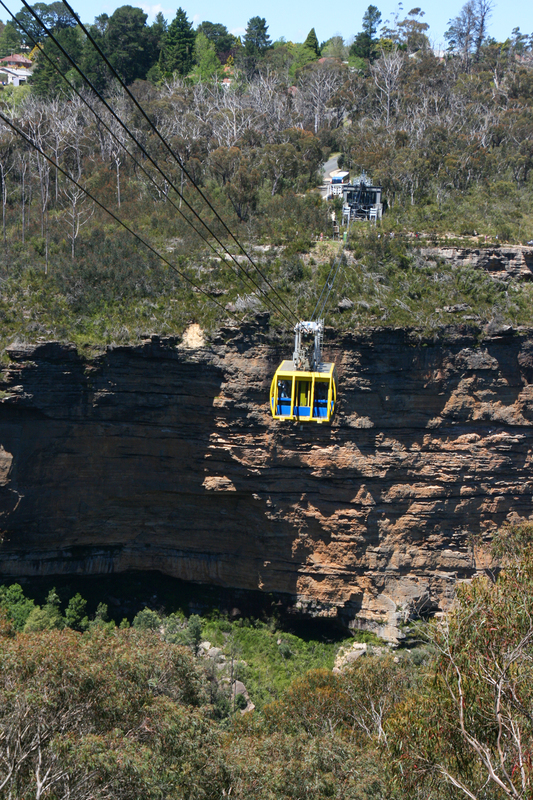 This cableway is Australia's biggest cable car. From the Jamison Valley we returned some 545 metres to the main building. 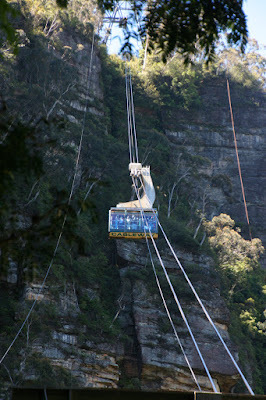 Last but not least was the Scenic Skyway, with it's partial glass floor. 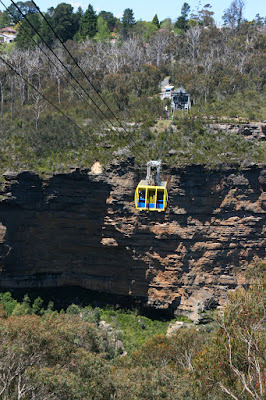 At 270 metres it is the highest cable car in Australia. As it glides between the cliff tops you can view the Jamison Valley and the Katoomba Falls. Once again we returned back to Myrtle (our camper) after another very full day.